Optimums 450mm Gravity Roller Conveyors are an economical solution for moving packaged or heavy items safely and efficiently around your work place. Coming in standard 1.5 and 3.0m lengths they are very versatile and can be bolted together to form a continues conveyors to suit your operation. In addition to standard units, Optimums Gravity Roller Conveyor Systems can be manufactured for Heavy, Medium or Light duty according to your business needs - differing in length and width, roller diameter, pitch and available with plastic, stainless steel or gal steel rollers. 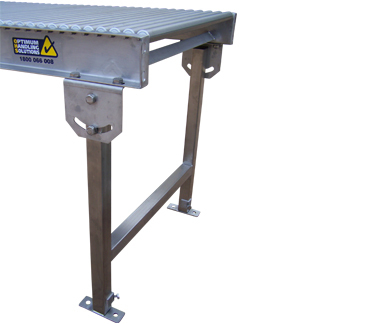 With height adjustable legs and optional castors makes them a great way to transport bulky items from such as granite and timber sheets around the processing line. Contact us on 1800 066 008 to discuss your requirements. Horizontal and downward movement – as Rollers are not driven, product movement relies on gravity allowing movement both horizontally and in a downward pattern. The gravitational pull allows products to move unassisted. Controlled speed – instead of using Powered Rollers, the Rollers speed can be easily controlled by specially designed breaks. All environment suitability – this model is suitable for products in any environment. 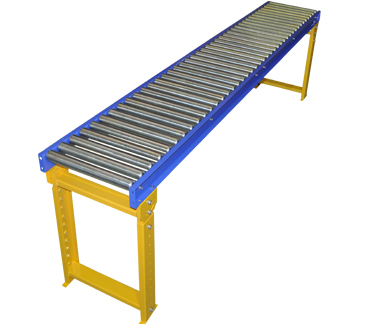 Hard and flat bottomed products work best with this conveyor but the structure allows for differing product weight. Product range weight can start as little as 10kg up to 1000kgs. If you'd like more information or if you have any enquiries about 450mm Gravity Roller Conveyors, please call 1800 066 008 or click HERE to contact us online and we will contact you. Optimums Gravity Roller Conveyers are an economical solution for moving packaged or heavy items safely and efficiently around your work place. 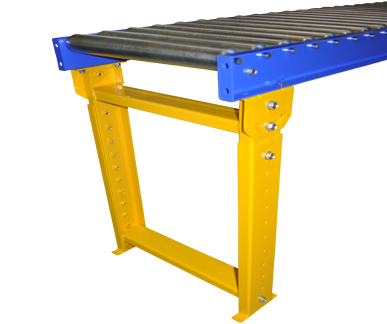 Coming in standard 1.5 and 3.0m lengths they are very versatile and can be bolted together to form a continues conveyors to suit your operation. 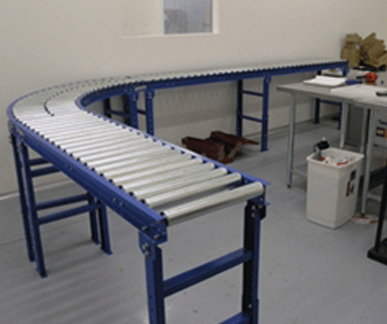 If you'd like more information or if you have any enquiries about 650mm Gravity Roller Conveyors, please call 1800 066 008 or click HERE to contact us online and we will contact you. 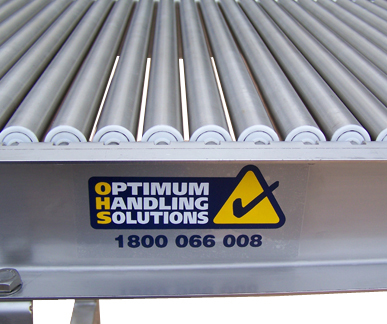 Optimums Stainless Steel 450mm Gravity Roller Conveyors are an economical solution for moving packaged or heavy items safely and efficiently around your work place. Coming in standard 1.5 and 3.0m lengths they are very versatile and can be bolted together to form a continues conveyors to suit your operation. In addition to standard units, Optimums Gravity Roller Conveyor Systems can be manufactured for Heavy, Medium or Light duty according to your business needs - differing in length and width, roller diameter, pitch and available with plastic, stainless steel or gal steel rollers. 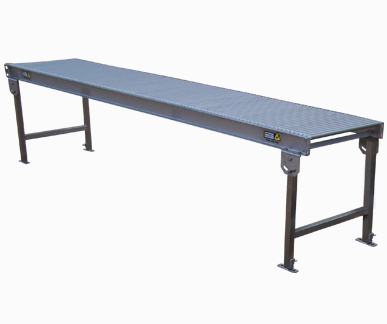 With height adjustable legs and optional castors makes them a great way to transport bulky items from such as granite and timber sheets around the processing line. Contact us on 1800 066 008 to discuss your requirements. Stainless steel rollers are also available which are ideal for wet or corrosive applications. 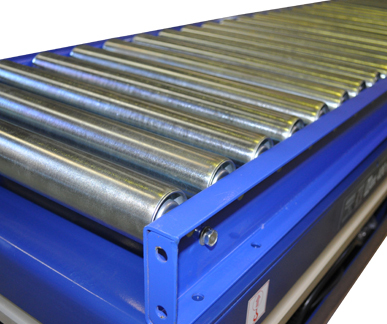 If you'd like more information or if you have any enquiries about Stainless Steel 450mm Gravity Roller Conveyors, please call 1800 066 008 or click HERE to contact us online and we will contact you. Optimums Stainless Steel 600mm Gravity Roller Conveyors are an economical solution for moving packaged or heavy items safely and efficiently around your work place. Coming in standard 1.5 and 3.0m lengths they are very versatile and can be bolted together to form a continues conveyors to suit your operation. Stainless steel rollers are also available which are ideal for wet or corrosive applications. 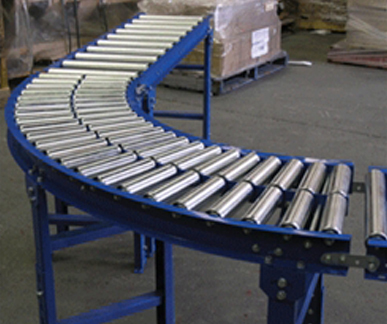 If you'd like more information or if you have any enquiries about Stainless Steel 650mm Gravity Roller Conveyors, please call 1800 066 008 or click HERE to contact us online and we will contact you.